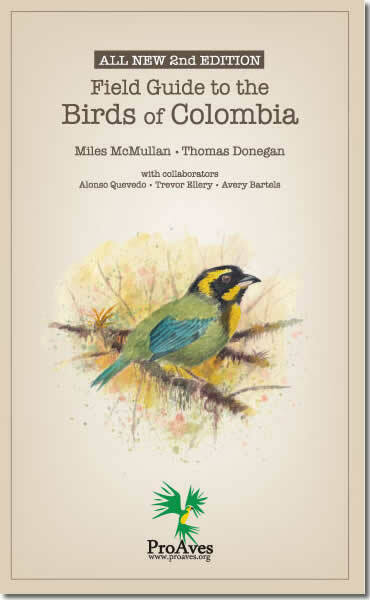 Today, the 2nd Edition of the Field Guide to the Birds of Colombia is published by Fundación ProAves. The book is almost twice as large as the original 2010 edition and almost entirely re-illustrated. 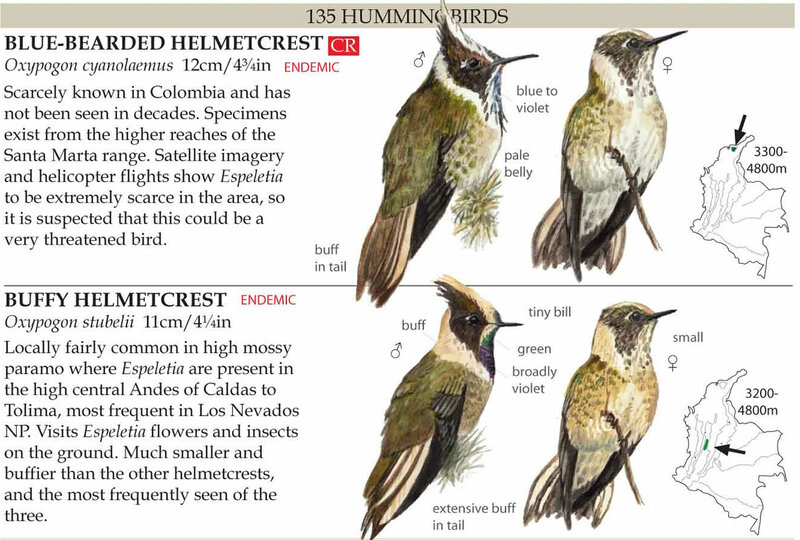 With 4500 color illustrations, almost 2000 color range maps; a new mammal identification section, and a guide to the top birding sites, this edition is without doubt Colombia’s finest field guide available to-date. In 2013, Colombia became the first country to record a landmark 1900 species of birds, almost 20% of the world’s total. Every year the figure increases! 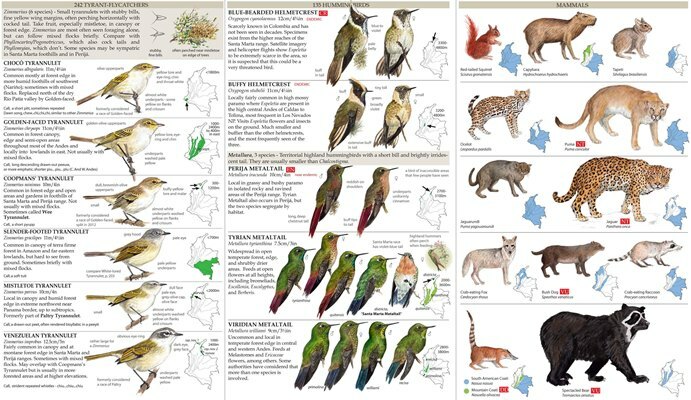 First published in 2010 and followed by a Spanish version “Gui­a de Campo de Las Aves de Colombia“ in 2011. These compact field guides were an innovative tool to strip away some of the complexity of the Colombia’s unparalleled diversity. The ProAves field guides have proved to be a huge success and are helping to redefine what a field guide for a complex tropical avifauna can be. This drastically improved second edition has been fully updated, expanded and almost entirely re-illustrated by the two authors, Miles McMullan and Thomas Donegan. However, the aim remains the same – to produce a compact pocket guide that can be quickly consulted with a single hand; and yet a user-friendly tool that anyone can use. The field guide is just US $34.95 or £25 with a 10% discount for ProAves members who purchase the guide from ProAves in Colombia, and is available via Amazon in North America & Europe. All proceeds (excluding mailing)from the sale of this publication will be donated to the vital conservation work of ProAves protecting birds and biodiversity across Colombia.